The Wise Crone's Cottage in the Woods: The Wise Woman Archetype within the story of "Frau Holle"
The Wise Woman Archetype within the story of "Frau Holle"
In this post we begin an in depth examination of the folktale "Frau Holle" ( note, the story is provided in the previous post). "Frau Holle" is a folktale collected by Jacob and Wilhelm Grimm and included within the 1812 and the 1857 editions of The Grimm Brothers' Children's and Household Tales. This story has had significant impact on the people in Germany and continues to be seen within their current culture. 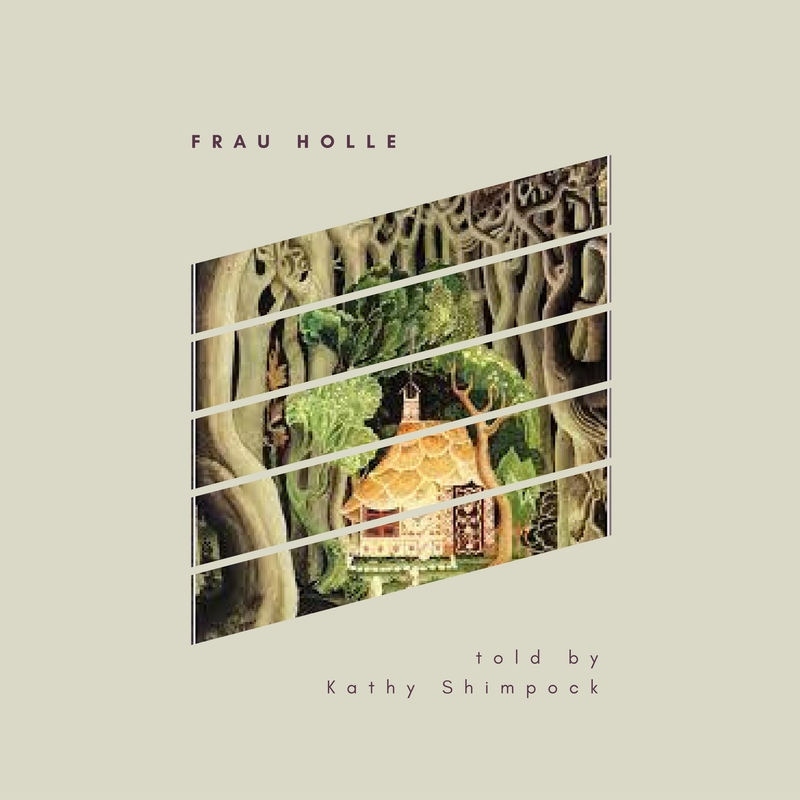 "Frau Holle" is the Grimm tale KHM 24. It is the Aarne-Thompson tale type 480: "the tale of the kind and unkind girls." Motifs found within the story are many and include N285.3 Old Woman Helper (although a more indirect, rather than direct helper), A1135.2.1 Snow from Feather or Clothes from a Witch; F475.1 Night Spirit; and F93.02.1 Otherworld Journeys (entrance through the well). It is the story of an unlikely hero and its plot fits well within both Joseph Campbell's and Vladimir Propp's story structure. Stith Thompson identified over 600 variants of this "good girl - bad girl" tale, found from Europe to Asia, Africa, North and South America. Geographically the "Frau Holle" story is said to originate in Hesse, Germany. 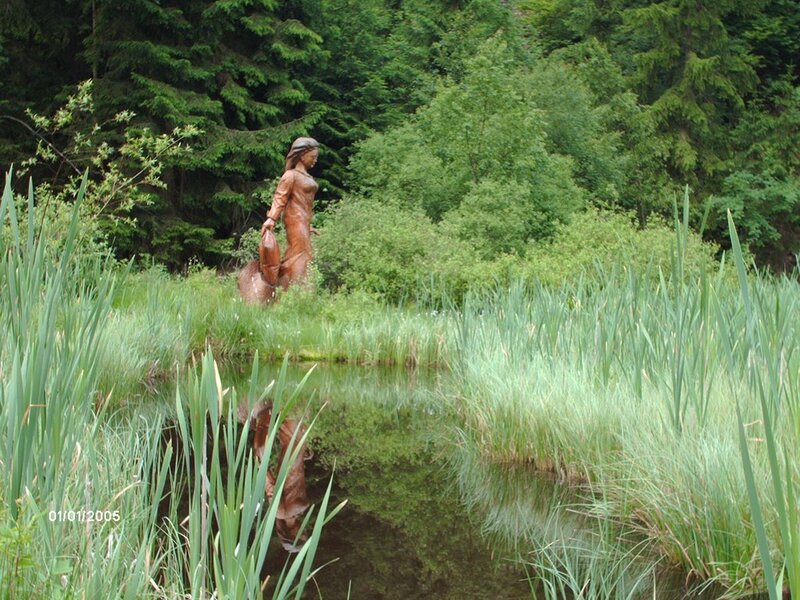 The actual "Frau-Holle-Pond" is in Hoher Meissner a forested, mountain area with a pond. 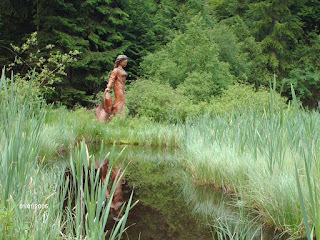 At the end of the pond is a statute of Frau Holle in her mythological state, as a young woman with a long white dress. According to local lore this is a place of offering to Frau Holle from ancient times. The Frau Holle character is believed to have derived from an ancient Germanic goddess known as Frau Holda, Hulda, Huld, Hulee, Holl or Holle. She may also have a connection with the goddess Perchte and Berchta in southern Germany and in the Norse goddess Frigga. Her name means "benevolent, faithful one" or "hidden one." This is a goddess associated with birth, death, the seasons, the underworld and household chores. She is also connected with spinning flax and water. The goddess has a dual nature. Myths describe her as traveling on cold winter nights with a band of witches while also protecting children as they sleep. She determines the worth of children and metes out their rewards and punishments. Norman Cohn describes Frau Holle in this way, "Holle...is a supernatural, motherly being who normally lives in the upper air, and circles the earth. She is particularly active in the depths of winter; snowflakes are the feathers that fall when she makes her bed. She travels in the twelve days between Christmas and Epiphany and this brings fruitfulness to the land during the coming year...She can sometimes be terrifying - she can lead the furious army which rides through the sky on the storm, she can also turn into an ugly old hag with great teeth and a long nose, the terror of children. Yet in the main she becomes terrifying only when angered...She is also concerned with childbirth - babies come from her secret places, her tree, her pond...She is accompanied by...the souls of the dead, including the souls of children and babies who have died unbaptized." Scholars believed that this ancient goddess became Frau Holle within the oral tradition and her myths were transformed into folktales (and later recorded by the Grimm brothers). In the next post, we'll look at the symbolism found within this story and the psychological analysis of the tale through the lens of depth psychology.